You are here: Home / Yamaha Digital Pianos / What Yamaha Digital Piano is the Best? Yamaha Corporation has been one of the leading manufacturers of acoustic and electronic musical instruments for many years. One of the products they have come to be most known for are their wide range of pianos. 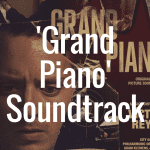 Their acoustic pianos are known worldwide and their lines of digital pianos have come to be known as some of the best products on the market as well. Their products are currently some of the most highly sought after, and the attention to detail and precision contained in each machine makes it easy to see why. Below, please enjoy the interactive guide that was created to make your piano purchase easier. 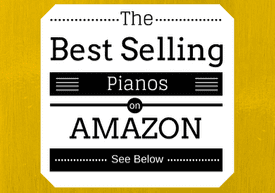 Compare the best selling Yamaha digital pianos in categories like weight, price, and even customer reviews from Amazon.com. Yamaha pianos are very reliable, sturdy, and time tested products that are always guaranteed to satisfy the customer. 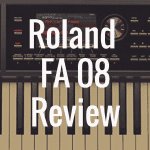 Their engineers have spent countless hours working on specific technology such as graded hammer action key sets, proprietary wave sampling technology, a wide variety of tone and voice selection, along with many other features. The variety contained in each instrument coupled with the value in price due to the combination of features makes Yamaha pianos easy sellers on the market. The benefits to owning a Yamaha portable keyboard, digital piano, stage piano, or workstation can be long lasting and enjoyable. Yamaha pianos contain high value and own a special place in the market, so you can always be sure if you want to part with your machine you should be compensated. Yamaha pianos also have the latest technology on the market, so you will never feel like your digital piano is somehow behind the times as far as music technology is concerned. In fact, in many cases Yamaha pianos are the leaders in the field concerning innovative technology, and engineers from other companies have studied and mimicked the expertise found in their products. The P-105 has been one of Yamaha’s bestselling digital pianos for years. It is most commonly seen as the best pound-for-pound package Yamaha has to offer as far as electronic pianos are concerned. The piano has a full range of 88 weighted keys, with amazing 128-note polyphony to ensure any kind of piano piece can be played. The keybed features Yamaha’s Graded Hammer technology, which replicates the hammer action found on a real piano, along with the graded touch and feel of the keys along the bass to the treble. There is also its Pure CF sound engine, which brings the pure sampled sound of Yamaha’s own CFIIIS concert grand piano as a first to the P-series. The build, style, and connectivity features top off the characteristics of the P-105, but the price range of $600-$700 is the icing on top of the cake. 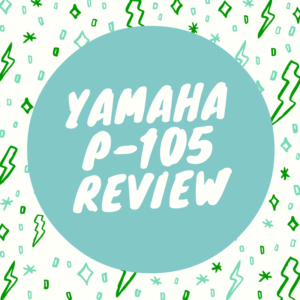 NOTE: The Yamaha P-105 has been replaced by the Yamaha P-115, which we have reviewed here. 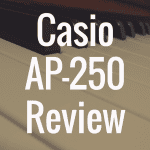 We have also reviewed the Yamaha P-125, as well. 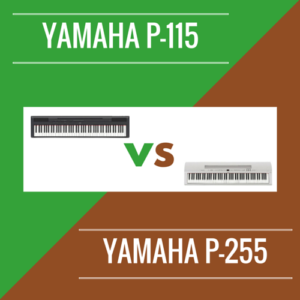 The Yamaha DGX-650 isn’t far behind the P-105. Yamaha touts it as their “most piano-like Portable Grand ever”, and after messing with it for a while, it’s easy to see why. The DGX-640 brings a real feel of an acoustic grand piano first of all with its matte black key finish. That’s followed up with Yamaha’s Graded Hammer Standard (GHS) keybed, which contains Yamaha’s graded hammer action technology to give you the touch of keys striking the strings. With a flashy LCD screen and over 500 tone and voice selections, many are amazed to find this piano at around the same price range of the P-105. NOTE: The Yamaha DGX-650 has been replaced by the Yamaha DGX-660, which we have reviewed here. The Yamaha NP-11 features lightweight and compact design, weighing in at an amazing 9 pounds, possibly the lightest digital piano in the world. It packs a punch as well, with high quality voice selections and advanced wave memory sampling technology. It can amazingly be battery powered and features a trendy eco-mode which allows the piano to shut off after prolonged inactivity. NOTE: The Yamaha NP-12 has been replaced by the Yamaha NP-12, which we have reviewed here. NOTE: You can read our review of the popular Yamaha P-255 here. A Yamaha digital piano can be found at a wide range of prices, so there is certainly a piano that each consumer can afford. 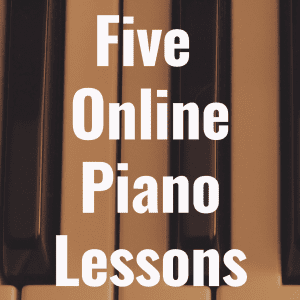 There are digital piano prices at the lower end of the spectrum, from $200-$400, such as the NP-11, NP-31, and YPT-230. Then there are the intermediate level pianos, which can range from $400-$800. Digital pianos in this category include the P-105, DGX-640, P-35, and YPG-535. The advanced level digital pianos can range anywhere from $800 to sometimes even $4,000-$5,000, depending on the machine. These include the CP-33, P-155, YDP-V240, and the Motif XF8.